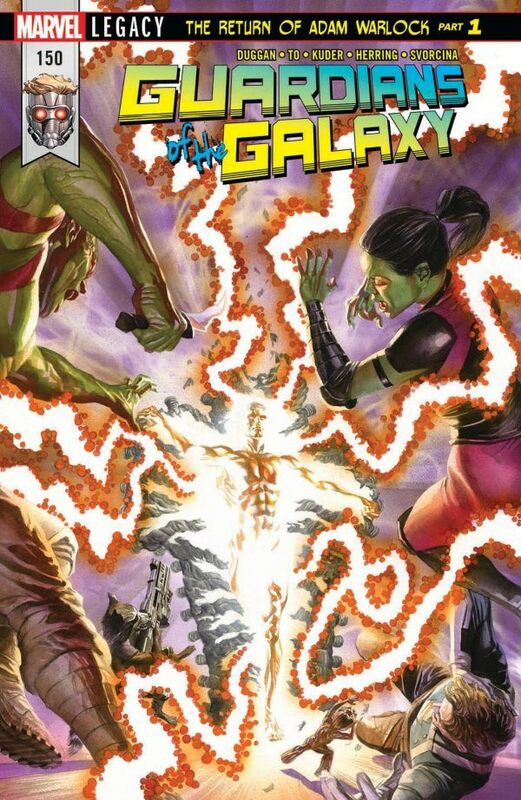 I've drifted away from the Guardians of the Galaxy comic in the last year or so, but I had to jump back in with this issue because it features the return of one of my all-time favorite Marvel characters - Adam Warlock. 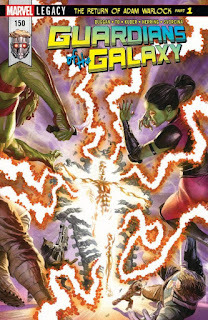 This issue drops us in the middle of a space battle that involves the Nova Corps - and for some reason the Guardians are all wearing Nova uniforms. And hey, Ant-Man is on the team now? Warlock doesn't exactly interact with the GotG - but instead is on a mystical / mental journey that will bring him back to the Marvel universe. To which I can only say, it's about time! Admittedly, I'd be happier if his adventures were being handled by writer / artist Jim Starlin, who crafted some legendary stories with the character - but I'm just happy to see Warlock's return, and to see him headlining an Infinity Stones-related event. So along with Jean Grey / Phoenix and Hawkman, Warlock makes the third character to return from the dead in a week. That may be a record of some kind! While I'm not a big fan of resurrections, it's easy to make exceptions when it happens with characters you like. And so far, I'm three for three! It also doesn't hurt that all three are famous for returning from the dead.